Wikipedia is a treasure trove of information, and we’ve shown you all you need to know to master it Everything You Need To Know About Wikipedia And More Everything You Need To Know About Wikipedia And More Wikipedia is one of the most famous sites on the Internet. It's informative, as well as controversial, and having a page on there is highly sought after. Let's get to know it better. Read More like a pro. While browsing Wikipedia itself is great, sometimes you need to send its articles elsewhere. Here are four ways to export Wikipedia for various needs. Using the Book Creator, you can choose any articles you like and turn them into a book. Simply visit the landing page and choose Start book creator and you’ll be able to add any article you visit to your book. Once you’re done, you can export it to PDF or even order a printed copy. Or, try visiting the book collections page to download books made by others! If you only need a single article, just click the Download as PDF on the left sidebar of any article (it’s under the Print/export heading). This is perfect for grabbing a snapshot of an article that’s likely to change, or downloading a copy of information you’ll need when offline. Those who haven’t yet gone paperless The Future Is Here - Your Guide to Having a Paperless Life Today The Future Is Here - Your Guide to Having a Paperless Life Today Paperless – a term that is used quite often now days. But what does it mean? And to what extent does it apply? Certainly we all still use paper to some degree despite the advancements... Read More can utilize the Printable version in the same sidebar heading to easily print an article out, perhaps for a friend who doesn’t have Internet access. 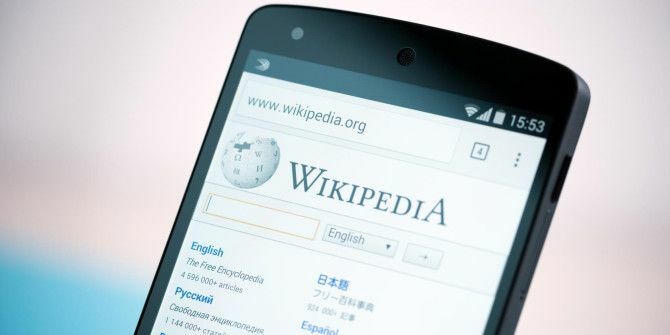 Finally, anyone who wants to go big can actually download the entirety of Wikipedia. By default all images or other multimedia files are excluded to save space in the download, but if you have space to spare, there are other download options available. Need some ideas on which articles to export? Try checking out some of the weirdest pages on Wikipedia 10 Insanely Weird Wikipedia Articles You Should Read 10 Insanely Weird Wikipedia Articles You Should Read Giant pink bunnies, upside-down calculator words, and lists of lists of lists. Read More . Which export method is your favorite? Tell us which articles you’re exporting in the comments! Explore more about: Offline Browsing, Wikipedia.